More space opera coming our way soon. 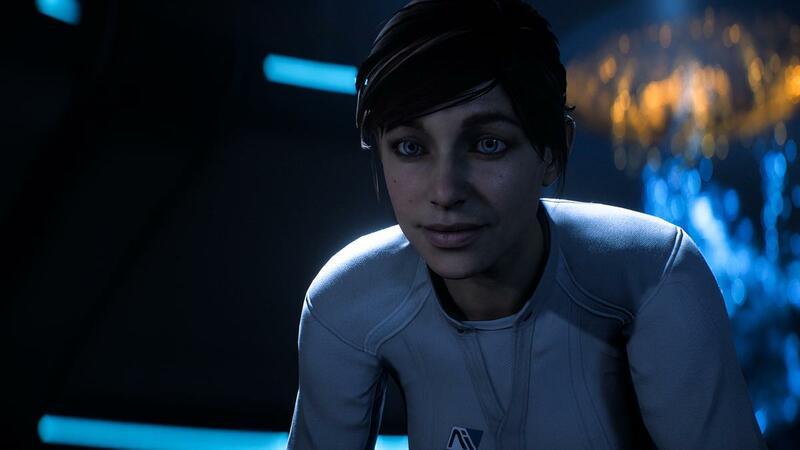 Our full review of Mass Effect: Andromeda is now up here. The opening is reminiscent of the beginning of Mass Effect 1, but dramatically less tedious. The graphics on PC aren’t great but, now they’re based on the Frostbite engine, we’ll hopefully see the hyper-realistic, ray-tracing mods that Star Wars: Battlefront received. We hope that the whole game will end up looking like this. But what we saw during general game play was a bit less polished. Newcomers need to understand that much of the opening hours of the game will come in the form of Cinematics. These will fade as you progress but you’ll reach a point where encountering them becomes a treat again. 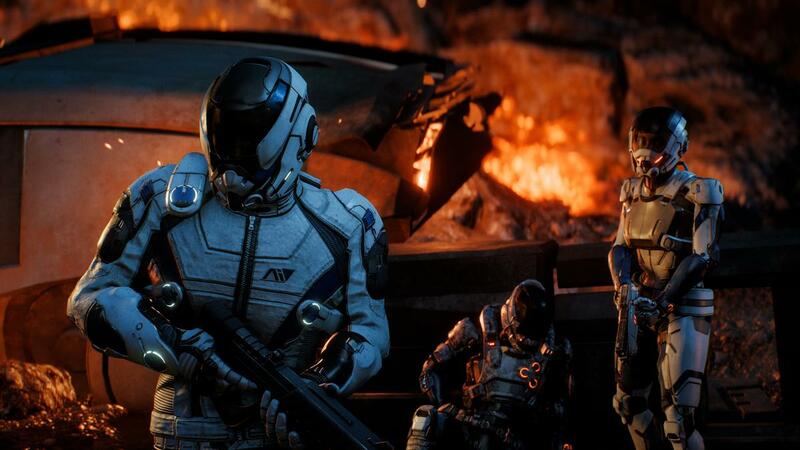 Mass Effect really is like a massive interactive movie that you’ll likely want to come back to and play again. ME3 took about 70-hours to fully complete. It looks like this will be even bigger. You Play Sarah or Scott Ryder. Both are badass although Sarah looks like a wide-eyed schoolgirl (we expect her to grow in stature like Peggy from Mad Men) while Scott is just cool enough to avoid douche-bag status. Lets see what a few hard battles do the heroine's initial, soft outlook. In the short-time we spent with it, it’s clear that many characters (not just the heroes) are as rich, diverse and engaging as we hoped. These guys will stay with you like a great literary character (or previous Mass Effect character). The portents are strong that you can shag everything on-board your ship. Most characters look like they could be a bit bi. Except for the Krogans. 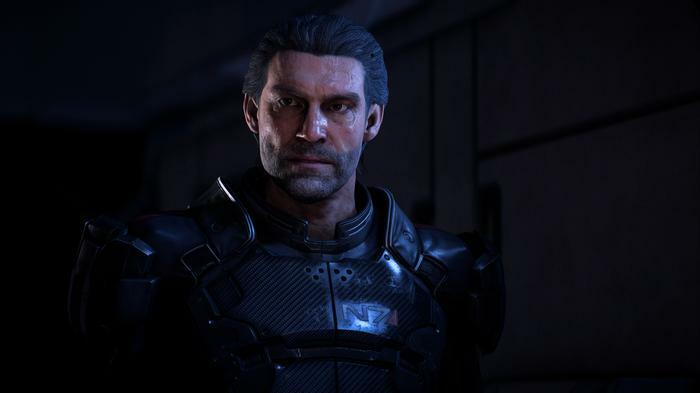 The game takes place around 600 years after Mass Effect 3 but features characters who left the Galaxy after Mass Effect 1 - and so have little knowledge of The Reapers. 100,000 residents of the Milky Way's various species are travelling to find a new life in the Andromeda Galaxy. You play the Pathfinder (scout) team sent to explore potential new home worlds. Hopefully you're good with maps as the destination markers can get a bit confusing as you roam around large open spaces. 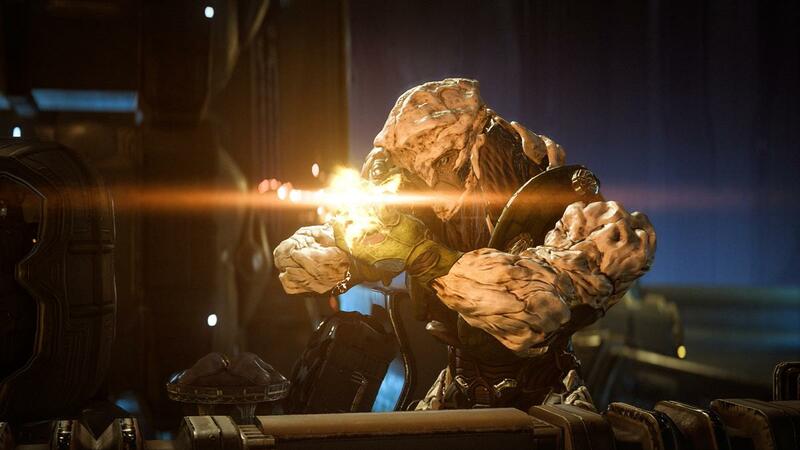 Ryder needs us! Those familiar with Paw Patrol will be doomed. Mass Effect games are among the most rewarding to complete with your decisions influencing the outcome of the game. It’s difficult (sometimes impossible) to please everyone as you’ll have to pick sides at some point. This one is set to have more hard choices than before. Now, instead of binary responses you can choose the tone of some responses in order to influence relationships with other characters. Early combat can be a bit grindy in terms of gun battles. While we expect things to improve (as with the early games) when you get gun mods and power-ups that can slam people into the ground, this game is likely to be most rewarding to those who minimise the gun play and investigate everything unhindered instead. As before, You can choose your balance of Rambo vs Alice in Wonderland at the beginning of the game. 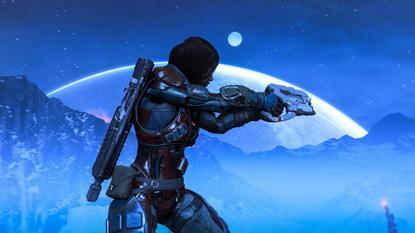 Online play won’t be far different from Mass Effect 3 online. 10,000 people still play that. The developers were as surprised as we were. It wasn’t great and they’ve not spent too much time on it. When rapidly-decelerating into a new planet’s atmosphere… strap yourself in. Don’t stand up FFS. We don’t want to get all Health and Safety, but come on. Hopefully this is as apoplectic as we get. Interplanetary travel on the Galactic map is tortuous and needs to be sped up. There seems to have been a step backwards here. Pathfinder scouts versus N7. Who would win? The studios used by EA (like Bioware) can apparently share developers during their slow periods. We thought that was pretty cool. 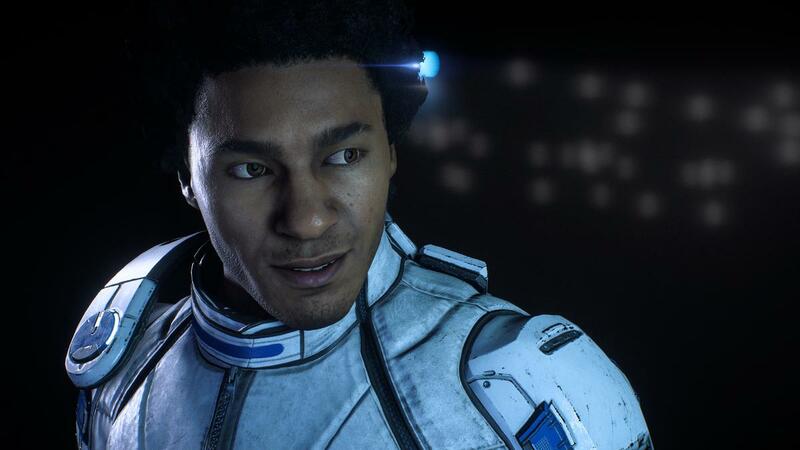 We learned that there are many EA-wide tweakers of the Frostbite Engine and that this is paying off in Andromeda. However, Bioware also says that they've locked the code down quite hard. Certainly the landscapes aren't destructable as with Battlefield. It's more like ME3 again. Unlike Shepard who would black out in a night club and wake up next to a gangster acquaintance, Scott drank several pints of neat whisky and carried on like normal. We were disappointed by this. Friend or more? He's not alone with the British accent: the game seems to be using the whole Game of Thrones gamut. Ultimately, in the brief time we spent with it, this really feels like an enhanced version of Mass Effect 2 and Mass Effect 3 but in an entire new universe (well, Galaxy). The game is fundamentally a first person action shooter with RPG mechanics (but the best part being the character development, richness of story and the environment). We’re looking forward to playing - or should that be experiencing(?) - it very much.